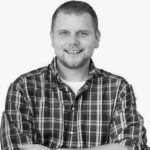 What’s the secret of good SEO copywriting projects? How should texts be written to fulfill the needs of readers and search engines? 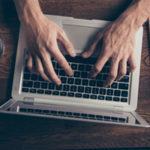 This article gives you 5 tips for how you can get your SEO copywriting projects ranking at the top of Google’s search results – we look at long-tail keywords, long-form content, buyer personas, mobile and metadata. No matter how you cut it, Search Engine Optimization starts with effective content. Whether that content is traditional written word or multimedia like video or images, you need to produce amazing content that gets found by search engines and engages with your customers. Since producing content takes a lot of time and resources, you should take the time to understand the goal of your content and who your target audience is before you do anything. The ultimate goal of your content is not just to rank in search engines, because your goal is to address the needs of your audience and drive more conversions (sales, sign-ups, etc.). As you look at your competition to find ways to rank your content, you may find that you are up against the biggest brands in the industry. 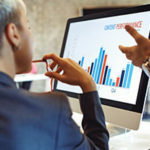 While it may be difficult to secure the top positions in SERPs, you can use a number of SEO strategies to help drive more qualified traffic to your site without having to break the bank. SEO copywriting is the craft of using specific content to attract qualified traffic to your site. While there are several stages in the Customer Journey, you can use long-tail keywords to target potential customers who are in the later stages of the buying cycle. Long-tail keywords are key phrases that tend to be longer (3-4 words), and as a result, these keywords are specific and signal a higher level of buying intent. If your customers are searching for specific long-tail keywords, then you can be confident that they know what they are looking for and they are ready to make a purchase to address their needs. You should always focus on the needs of your customers and their stage in their Customer Journey as you optimize content for search engines and your customers. Coordinating your content based on the journey of your customers will help you build intentional content and direct your customers towards the desired goal like a download or purchase. 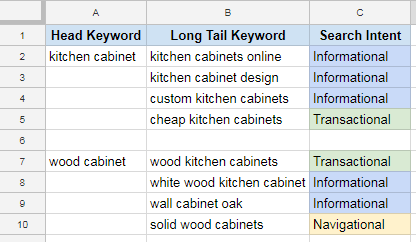 Create a spreadsheet to help you visualize the head keywords that you want to rank for, and then include additional columns to contain different long-tail keywords, and use Searchmetics’ Search Intent feature to help craft content based on where your customers are in the Customer Journey. You can build out content for any industry with this approach, and this strategy will help you focus on ranking for terms that are more likely to engage and convert your ideal customers. Instead of wasting lots of time and money trying to rank for head terms like “kitchen cabinets,” you can create content that will attract customers who have a specific need and user intent. 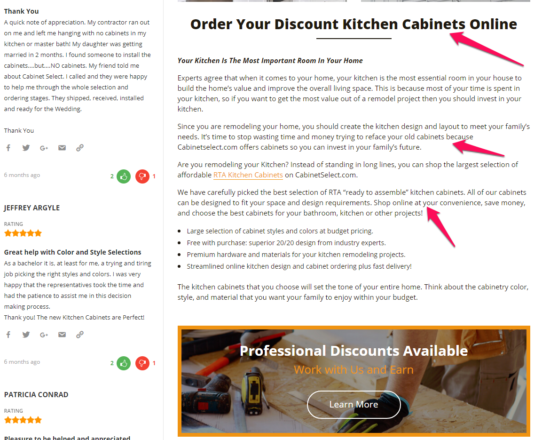 CabinetSelect.com uses this approach on their pages to ensure they only attract customers who are closer to the point of purchase. 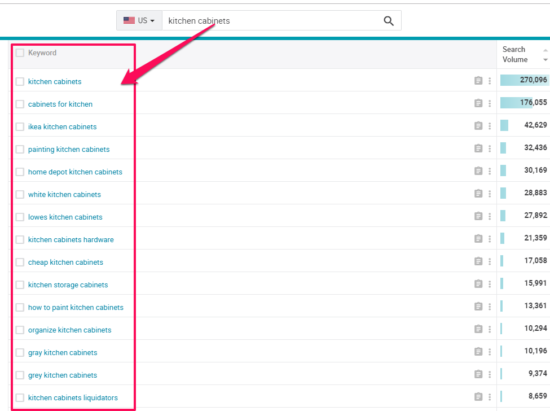 Instead of competing with large competitors like HomeDepot and Lowes on broad terms, CabinetSelect.com builds optimized pages that are intended for a specific customer segment. 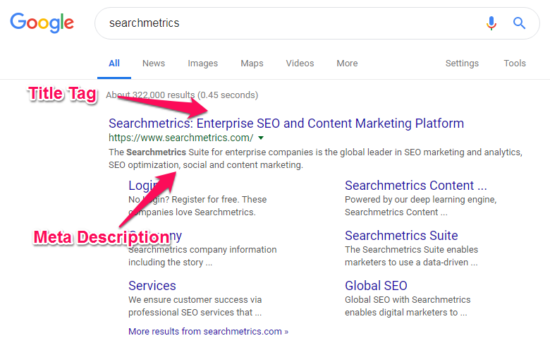 Many SEOs and copywriters forget about the importance of metadata as a ranking factor for their content because this information is not created for human readers. The title tag and meta description are the first snippets of code search engines read when they look over your content. These aspects of technical SEO play a significant role when providing search engines context about your content and they can increase the Click-Through Rate by catching the attention of your customers in the SERPs. Metadata is vital information that is held in the HTML within each page and helps search engines understand what the page is about. The two main aspects of metadata that you should focus on are title tags and meta descriptions, as well as Schema. Title tags play a vital role in how search engines read and understand each page on your site. This metadata provides the first impression that search engines and people will have about your content so make sure you use keywords and optimize this data. The exact limit of claims needs to fit within a 600-pixel container, so try to keep your titles below 60 characters. Write for your audience by putting relevant information towards the beginning of your titles. Don’t overuse keywords in the title tags because this will get you penalized by Google and other search engines. Put the most important keywords towards the beginning of your titles. Make sure each page has a unique title. 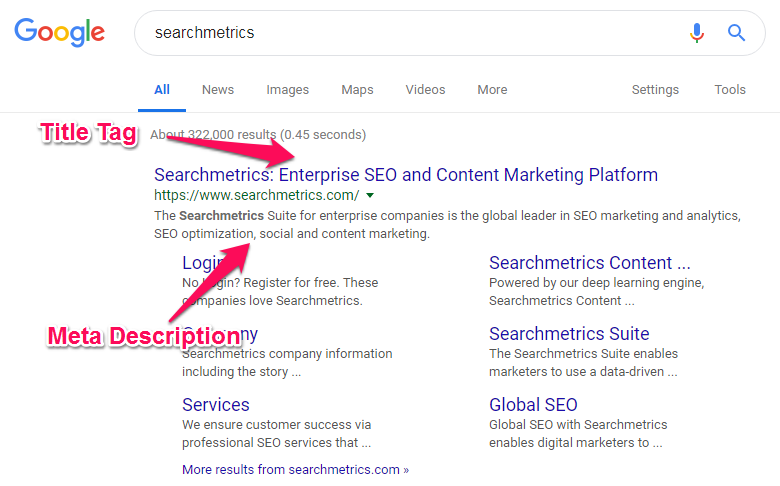 Google doesn’t factor in your meta description when ranking your site, but this bit of data will be visible to users and may sway them towards clicking. Instead of thinking about meta descriptions from the perspective of technical SEO, you should think about this information as a way to benefit your customers. We’ve all been there, you see a bunch of good results, but you don’t know which one you should click, then you see one with a particularly relevant meta description and decide to go for that. The meta description can serve as a tiebreaker when your site is competing against equally matched opponents. Giving users that extra bit of information might be the one thing that helps you beat your competitors. Google has experimented with displaying different lengths of meta description in the SERP, but a good rule of thumb remains that you can use up to 150 characters in each meta description. In recent years Schema has grown to have more impact on search rankings than ever before. Schema.org is a project that resulted from the collaboration of three major companies; Google, Yahoo, and Bing. Schema took metadata to the next level because it still lets you provide information to search algorithms but now data like product prices, operating hours, review ratings, and other tidbits were readily viewable by anyone viewing your website through their search results. 3. Use Long-form Content like FAQs, Integrated Questions etc. There is a lot of debate about whether the length of your content directly impacts your page’s search ranking. 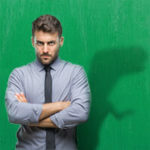 On the one hand, some experts argue that short-form content is best because it is easier for your audience to consume your information and search engines factor this into their algorithms. On the other hand, SEOs argue that search engines like content so if you write long-form content then you can feed algorithms what they are looking for. 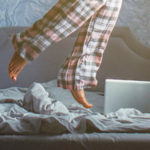 While there is research that shows the value of short-form content, it doesn’t change the fact that there are many benefits to producing long-form, high-quality content for your users. Most search engines succeed by putting the customer first and helping all consumers find the best solution to their problem. Every single query that passes through a search engine is treated like a problem that requires a solution. The job of search engines is to give their users answers to the questions that drove them to do a search in the first place. When you create content of longer length, you’ll have to capacity to provide detailed solutions that your readers can easily apply to solve their problems. Even if the actual length of content does not have a direct impact on search engines, long-form content gives creators a larger tapestry that they can work with to help answer the questions that customers have. You can use formatting and tactics to make long-form content easier to consume. 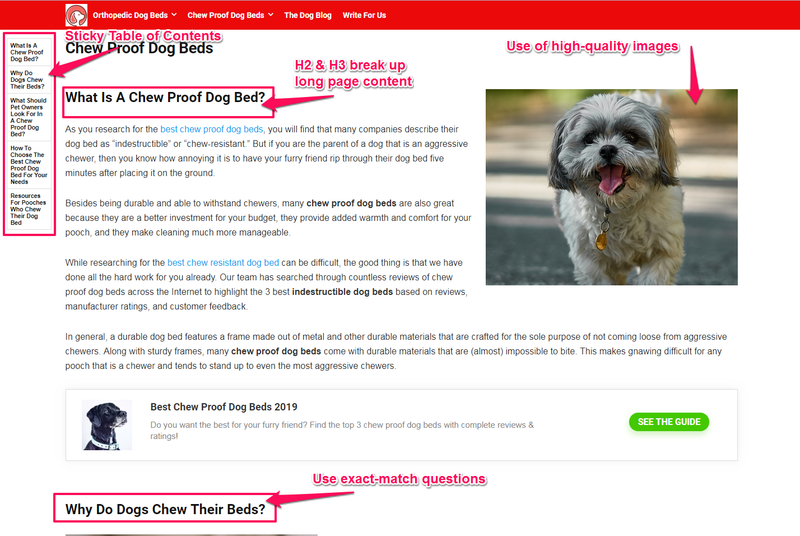 For example, you can break up your page with H2 and H3 tags so your consumers can easily scroll for the information they need. Also, you can use keywords in the title tags, and adding an FAQ section to the end of your article can also help get your content found and address the needs of your customers. Dogsupplies4me.com does a great job helping their audience read their content by using many copywriting tactics. For example, the site has a sticky Table of Contents so readers can find content quickly, and they use keywords and exact-match questions in their H2 and H3 tags so search engines and people can find content quickly. You can optimize your content and use all of the latest tools, but if your content does not speak to your audience, then your business will have limited success. Not only does your content need to have excellent grammar and persuasive words, but you also need to connect with your target audience. Whether you are writing blog posts, sales pages, or implementing multimedia like video and images, you need to make sure that your content engages with your audience at each level. Creating a user persona can make it much easier to do this because you will be able to research the background of your customers before making a piece of content. If you just guess who your readers are and what they’re interested in, you’ll end up publishing content that isn’t relevant to them. If you don’t do this, you could decrease sales, reduce engagement, and even lose a portion of your customer base altogether. As you can see, shotgunning with your content, while less time consuming, will end up doing your company more harm than good. In this age of Facebook and YouTube, you’ll find most people starting at their smartphone for the majority of your audience. Our phones provide immediate access to our lives for most of us. They help us reply to urgent emails, keep an eye on the latest news in the political world, and stay in touch with all our closest friends through the use of social media. 2016 was the first time that mobile traffic actually surpassed that of desktop, with the ratio tipping to 51.3 percent for mobile/tablet users to 48.7 percent in desktop users. People from all around the world rely on their smartphones for everything from a quick search to a large purchase. With all this traffic moving through the mobile world, it’s crucial that you optimize your content accordingly. Your content could provide the best solutions in the world but still be neglected by half of the population if it looks awful on mobile. Improve the speed that your website loads since mobile consumers expect content almost immediately. Only use responsive design for your website so content can be consumed quickly on both desktop and mobile. Only use high-quality images on your pages and crop these images to the right size, so they render correctly on mobile devices. Do not use long paragraphs – keep paragraphs to only 1-2 sentences when possible. As search engines continue to advance their algorithms, SEOs and copywriters have the unique opportunity to apply strategies to rank SEO copywriting projects. Change is hard, and if you have been working in SEO for any length of time then you likely have a go-to system that has worked in the past. While certain tactics may have worked so far, the truth is they will have less impact moving forward. Instead of delaying, we should all take time to learn and adjust our marketing strategies for the future. Not only will this help our content rank now and in the future, it will also give us a competitive advantage that we can use to rank content and make more sales today!